ICF systems have been used in global construction for over 60 years. That being said, the Nexcem ICF installation process has grown to become quite advanced in recent years, and now, Nexcem Insulated Concrete Forms are capable of protecting properties from natural disasters because they’re capable of withstanding 402 kph winds. 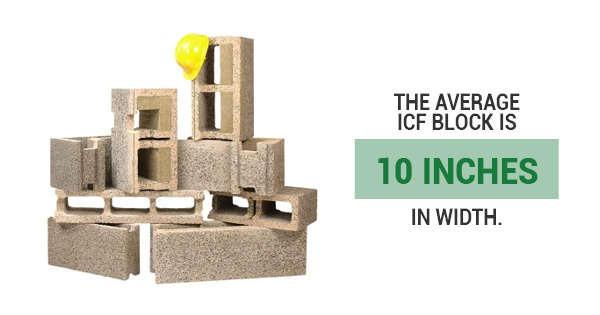 Built on the technology used in the original insulated concrete form, our cement bonded wood fiber system provides all the benefits of an ICF home without any of the potential negatives associated with styrofoam. If you’re interested in installing breathable walls made of insulated concrete forms around your property, you’ll be glad to know that the process is easier than you think. Here’s what you need to know about Nexcem ICF installation. What’s the first step to installing Nexcem ICF breathable walls? Most types of ICFs recommend builders to begin at the corners. Starting at the corners helps you to construct a sturdy and level foundation. From there, different manufacturers may have different installation processes. But typically, when constructing ICF walls, only one row is constructed at a time, and the end blocks are cut to fit to reduce waste. This is just one reason why Nexcem ICFs are so energy efficient and generally sustainable. How are ICF walls reinforced? Most ICFs are reinforced using strong steel beams, which are laid horizontally and positioned within the ICF units for additional support. This continues with each layer of the wall until it’s complete. Buildings constructed with ICF are six to nine times stronger than traditional buildings, and this type of reinforcement is one of the main reasons why. How do you work around existing windows and doors when installing ICF walls? Experienced professionals can easily navigate around your property’s windows and doors when installing ICF blocks. They use specific tools as well as a buck material to create a space where windows and doors can fit and stay secure. When installed properly, ICF walls can save homeowners 20% to 25% on annual heating and cooling costs, according to the U.S. Department of Housing and Urban Development. Ultimately, ICF systems can cut final costs on a property by an estimate of $0.75 per square foot, but it’s essential to understand the installation process. In most cases, this type of home renovation project is not a DIY project, but for those with construction experience, patience and time, you can build it yourself and actually save money on the construction costs. For more information about fitting your property with sturdy and insulating ICF forms, contact Nexcem.